Hey everyone, happy Friday. 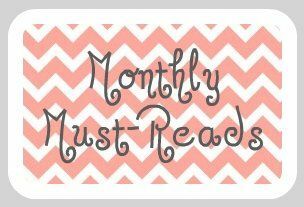 It's time for the second edition of monthly must-reads (you can read the first installment here in case you missed it). And, it's time for this month's question, courtesy of Andi. The question is: "If you could have one celebrity's wardrobe, whose would it be and why?" This took some thought, as a few different starlets came to mind. Rachel Bilson, Bethenny Frankel, Jennifer Aniston, the Kardashian sisters, and Kyle Richards all have a great sense of style that closely resembles my ideal. However, the one girl who always stands out, the one whose wardrobe I'd love to own is Lauren Conrad. No analyzing her claim to fame please! For the record, I liked Lauren on Laguna and The Hills. While some were quick to point out her somewhat lackluster personality, she just seemed real to me. Hell, if I had cameras following me around all the time, I'm sure my personality would come off as less then exciting. Aside from her spats with friends over jerk boyfriends, Lauren stayed above the fray. Of course, the main reason I think we all watched The Hills was to see what she was wearing each week. She is the epitome of California cool. Mixing casual pieces with fun and feminine frocks, her style is accessable and easy to emmulate without looking like you're trying. She's chic and glam, and yet she strikes a delicate balance by staying true to her beach girl sensibility. If Olivia Palermo is New York's It girl, then Lauren Conrad is Los Angeles. So, can you tell why I would LOVE to own her wardrobe? Designer handbags but a penchant for Chanel, skinny jeans, pumps, lace, girly skirts and dresses, sandals...a girl after my own heart! Beautygirl24 - Noelle has a serious crush on the color orange. See how she used it to build an outfit. Ella Pretty - Ella's been shopping and sewing - view her spring purchases here. Lilly's Style - Find out which outfit Lilly loved the most in March. Pearls and Green Tea - Jiye's been welcoming the warmer weather with floral shorts, a braid and sandals! Saltwater Dreams - Andi's going gluten-free -- and it's easier than you think. See her favorite tips, recipes and products. Schnelle Couture - Danielle broke out the white jeans and sandals for St. Patty's Day- be sure to check out her new favorite mint nail polish too! Sequins and Stilettos - Skylette has been playing with nautical looks by picking up some fun accessories. This is true ;) It's so hard choosing just one celebrity! I have so many I look to for ideas. Thanks Andi ;) I think of her when I shop and get dressed quite often. Is that weird? Sounds creepy when I put it that way! But I love her style. In my opinion, it's perfect. I love her style. She never looks anything but amazing. My 2 fave looks from here are the cream maxi and the mini-lace dress - stunning! Lol, you didn't choose incorrectly. There are no wrong answers! agreed love lauren Conrads So Cal style! I picked Lauren too! I think she is the most level-headed of them all and while I miss her, I totally understand why she is laying low on the reality tv scene. I would lay low too, although I also miss her on tv. I miss seeing what she wears all the time! She's my biggest girl crush. No contest. So chic and always keeps it classy. I LOVEEE HER! and i agree... she's so chic and classy.. if i could have an wardrobe it would be hers.. she's just so feminine and pretty and has no qualms about being a girlie girl! LOVE lauren's style! her white blazer, leather leggings, olive clutch look is one of my all-time faves!! I am obsessed with Bethenny's style! she is so classic -love her skinnies and blazers! I couldn't agree more! I've always loved her style!!!! Nice post!